achieve excellence in your career and enjoy life in its fullness. Are you ready to start? I hope so. You look one smart learner. You will learn faster, remember facts longer and perform tasks better. Come let’s talk over a glass of juice! A: Hello, my name’s Janis. I’m from India. B: I’m Visalia from Canada. Nice to meet you. A: Nice to meet you, too. A: Hi, how do you do? B. Good, how do you do? A: Hello, my name’s Jacob. What’s your name, please? B. I’m Binna. How are you? A: Very well. Thank you. How about you? B: Fine, thanks, and you? and enjoy every moment in its fullness. I’m Mino from South Africa. I’m a school boy. I’m just ten. I attend Grey Boy’s School in grade v. My father is a farmer and my mother a home maker. I have a brother and two sisters. I love my school, all my teachers and neighbors. My favorite subject is physics and the food I like is idly. I want to be a teacher. Thank you. Good afternoon everybody. It’s my pleasure meeting you all here. My name’s Venus. I’m a college student. I’m doing M.A. Economics at Government College of Arts and Science, Mumbai. I’m a hard worker. My hobbies are reading and writing. I go swimming at weekends. I have a talent for music and storytelling. I want to be an economist. Thank you for the good time. Good morning friends! My name is Adiba. I'm going to introduce myself. I was born and brought up in Dubai. I'm studying first year BSC computer science in this prestigious college, well, SSN College of Engineering and Technology, Chennai. My father owns a factory producing cotton textiles and my mother works as software developer. I have a brother. He is a journalist and a musician. I am a friendly person and adaptable. Mathematics is my favorite subject and I can study for long hours without break. But my friends and roommate often disturb me. I don’t know how to handle them. I'm interested in many things such as cooking, gardening, reading self help books and watching movies. I love to travel and interact with people of different cultures. I want to improve my communication skills so I am glad to be here. I'm personally interested in becoming a Graphics Designer. However, there are many different career opportunities that I like. I believe that a job should be like a hobby, enjoyable. As for now, I'm only focusing my attention on studies. I always believe “as long as we start doing something with total self confidence, the how we can comes to us from within”. So I start my work saying aloud "I can" four times. That's all about me. Thank you for listening to me. Hello, friends! Good morning everybody. My name’s Angelina. I’m from Kanyakumari. I’m a nurse. I’m working in Bahrain International Hospital, Bahrain. I started school at St. Antony’s Primary school, Kanyakumari and passed my Higher Secondary Course from St. Antony’s Hr. Sec. School, Azhagappapuram. I went to Dr. Jeyasekaran college of Nursing and passed my B.Sc. nursing in 2012. I worked in different hospitals in India for two years. I got married in 2014 and since then I’ve been working in Bahrain International Hospital. My Husband is working here, too. I have two children, a boy and a girl. I have a passion for health promotion services. I’m an active listener so I’m able to communicate with patients effectively. As I’m an early riser I’ve sufficient time to accomplish my day’s tasks both at home and at hospital. So I enjoy life in its fullness. Thank you for listening to me. Introduce yourself the best way you can. Please feel free to imitate model presentations. Please work in pairs/small groups prepare a presentation and deliver to your family/friends/partner or your facilitator online. Greet everyone with a cheerful disposition/ a smile. Tell your name and give details about your native place, your family and where you live. If you are a student describe your institution. If you are working say what you do and where. Give details about education, where you started school and what your qualifications are. Tell them about your habits and hobbies. Tell them about your talents and skills. Thank everyone for listening to you. A word is a group of letters which make sense. e.g. Apple, taste, farmer, work. A phrase is a group of words which make some sense but not complete sense. A sentence is a group of words which make complete sense. e.g. 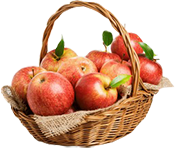 Can an apple a day keep the doctor away? I don’t like the taste of apples. Help the small farmers, please. Children generally enjoy working with friends. What do we do using words, phrases and sentences? Every person, place, animal, thing or idea is known by a name. Activity: Write four more examples of each kind please. Come let’s have a jack break sharing our home grown jackfruit packed with both macro and micro nutrients. Wow! What a juicy fruit! Good, how do you do? Activity: How do you generally greet your family members, friends, neighbors and colleagues? Please feel free to write as many examples as you can. Today is my second day at work. I find the course interesting and useful. This canteen has been my favorite place since I joined INCIDE Academy. People of Finland are happy because every citizen enjoys equal social status. Vatican City is the smallest country in the world by population. 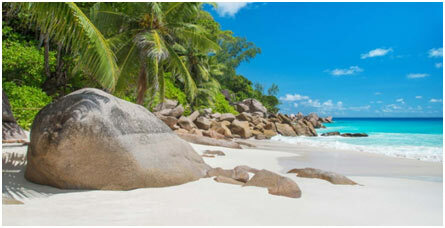 Seychelles is one of the most beautiful island countries in the world. June is the warmest month of the year in Iceland. Summer in Iceland is amazingly chilly. When we believe “we can” the “how we can” comes to us from within us. Activity: Write four statements to describe your favorite food. Q: What’s your name, please? Q: When did you start school? A: I started school when I was four? Q: What’s your most favorite subject? Q: What do you want to be? Q: How often do you get a good night’s sleep? A: I sleep well for eight hours every night. Q: Are you doing anything over the weekend? A: I just stay home and get some rest. Activity: Answer the following questions. What are the benefits of rising early? Do you plan your day and work your plan? Why? Why not? How do spend your weekends? Please open the door. Pass me the salt, please. Kindly help me with the luggage. Could you spell your name? Kindly post this letter for me. Could you bring me a glass of water? Activity: You are trying to cross a busy road with two big bags. You need help. How would you request support from others? Please write at least four sentences. E.g. Excuse me, sir. I’m unable to get across the road with these bags. Could you carry one bag for me, sir? … That’s very kind of you, sir. Listen carefully and write neatly. Drink water thirty minutes before and ninety minutes after food. Don’t drink water along with food. Take two tablets with a glass of water after breakfast and after dinner. Read the instructions before answering questions. Talk briefly about which place you’d like to live in. Activity: Write four pieces of advice our moms generally give their children. Let’s not waste time waiting here. Why don’t we hire a cab? Come, let’s lunch out today. Activity: Write four examples of your own. Walk straight on until you come to the traffic lights. Then turn right at the junction. Then go straight on until you pass Little Flower Higher Secondary School on your right. Walk another hundred meters and turn right. Walk four blocks. You will see our name board. Just enter the campus and meet our receptionist. She will direct you to our course house. Activity: You have invited a friend to join a family party. Your friend doesn’t know your exact location. How would you give your friend proper direction? I invite you all to dinner tonight. We invite you to visit South Africa with us. Please attend our child’s first birthday celebration with family. Please join us for the housewarming ceremony. You are welcome to our college day celebrations. We’re planning a New Year party. So please be with us. We invite to join us in our daughter’s wedding celebration. Please be with us as we say farewell to our Principal on May 31, 2018. Activity: Write four words you like best. Write four phrases and four sentences using each word. Write four examples of any four functions words, phrases and sentences perform in real life situations. Share your creations with friends. Please introduce the members of your family the way you like. Sada’s eldest boy is at Government college of Arts and Science. The dog days of summer means the hottest period of the year. Hanna lives in Sydney with her family. Honesty is her policy. Activity: Please work in pairs. What are the good things about working with friends? Identify the nouns in the following phrases and sentences. Working with friends itself is great fun. When we work with friends we understand concepts faster, remember facts longer and perform our tasks better. Our productivity rises very quickly. Working with friends is the beginning of effective team building. 2. Pronouns: Pronouns are “for nouns”. They are words used for nouns. Adjectives modify nouns and sometimes pronouns. Our senior citizens are more active than some of our juniors. Really! We sat and listened to grandma’s sweet songs. The moment she started singing we started snoring. What a beautiful baby! When you were a baby you were beautiful, too. Activity: Complete the following sentences with appropriate adjectives. You may work in small groups. Oranges and berries are --------and --------. You are very -------- and ---------. So you will get a ------job in the company. Thank you for being so -------- with me. 4. Verbs: Verbs are words expressing state of being, action or possession. Iceland is one of the happiest countries in the world because every citizen enjoys equal freedom. Pondicherry was the largest French colony in India. Until 1776, the United States of America was not a country. The individual states of America were colonies of the British Empire. We accept, understand and love everybody and so we live every moment happily. Farmers often work very long hours. We have a beautiful house in our village. In 2017 our party had a million members. Activity: Some verbs are missing in the dialogue. Please complete the dialogue using the missing verbs and enjoy reading with a partner. Dacia: When ……. you normally ….. your breakfast? Oscar: I always------my breakfast at 7.30. Dacia: When ------- you have your breakfast today? Oscar: Well, as usual at 7.30. Oscar: Um, it----- between 12.30 and 1.30 pm. Dacia: Where ------you generally ------your lunch? Oscar: No, I --------- yet. Dacia: When ------- you ------- to have it? Oscar: Today I ------- feel like eating lunch. Dacia: I ----- ----- lunch from home. You ----- welcome to ------- with me. Oscar: No, Dacia. Thank you. I ---- a big breakfast today. So I just ------ ------ anything now. An adverb modifies the meaning of a verb. An adverb adds more meaning to the verb. An adverb tells us how, when, where, why, how often or in what manner an action takes place. Our teachers speak kindly to the children. Please repair the washing machine as quickly as possible. Your birthday card arrived three days late. This shirt is just my size. I generally go walking in the morning. Sometimes I walk in the evening. My brother has a very unusual name. Many engineers find it extremely difficult to find a job. My mom replied to my letters very quickly. Activity: Identify the adverbs in the following sentences and write what they express. A preposition is a word or group of words used before a noun or pronoun to show place, position, time or method. Shall we meet at the club house at 6 o’clock? Look, there’s a cat under your table. Where’s my credit card? It’s in the drawer. On behalf of the management, teachers and students I thank all our guests. Activity: Reproduce the following anecdote and read out to your friends. Are you in the habit of planning your day and working the plan? I hope so. Please reproduce the text below filling in the gaps using appropriate prepositions. Hello! My name’s Oscine. I’m a school teacher. I always plan my time and work my plan. No wonder I achieve excellence ------my profession. I’m an early riser. My morning always starts -----five o’ clock. I brush and take two glasses------ warm water and have a shower. Then I do “MY BOS” (Master Your Brain Operating System) exercise ------forty minutes. I get dressed and pray------ ten minutes. After prayer I go walking. I usually walk fast ----- half an hour. ------seven o’ clock I return home and watch a bit ------ news ------ T.V. After discussing the latest news ------ my family members I prepare the day’s schedule. Then I arrange them in the order ------priority. I eat my breakfast------- seven thirty and eight, work ------ nine o’clock and go to school punctually ------ nine fifteen. The School Assembly starts----- nine twenty and classes----- nine thirty. We work ---- 12.45 and I generally eat my lunch ------- 1 p.m. After lunch I relax ----- ten minutes. The afternoon session starts ----- 1.30 and we work----- 4p.m. After school I play ----- some forty minutes. Tennis is my favourite game. I don’t waste my time watching tennis but I use my time playing it. I return home ------- 5p.m., spend some good time chatting ------- my parents, brothers and sister. I read my books and prepare ----- the next day’s classes ----- 7.30. Then I have my dinner-----all at home. We talk a lot over food and watch T.V. At 8.30 I resume my work. I relax a little reading my favourite books, particularly books ----- self development. And the last thing I do is to make sure I have accomplished everything I had planned. I thank the Lord ------ the good day and pray------- a better tomorrow. I go to bed------ ten and enjoy a good night’s sleep. Thank you, friends ------the good time. A conjunction is a word that is used to join words, phrases, clauses or sentences. A coordinating conjunction is a word that joins together words, phrases, or clauses of equal importance. We generally have bread and butter for breakfast. There are four chairs and two tables in our reading room. My brother and I left early because we had an appointment. The floor is wet so walk slowly and carefully. Please have a glass of juice or a cup of tea. I’ll come and see you soon. Activity: Complete the following sentence using an appropriate coordinating conjunction. On our way home we stopped at the bakery ------ bought some sandwiches. I had a fever ------ I went to see a doctor. Mom was very thirsty ------ we gave her two glasses of water. We had invited a hundred friends ------ relatives to our house warming ceremony ----only few people came to the ceremony. I am tired ------ I can work for any longer. Is your brother younger -----older than you? You must walk fast ------ you cannot reach the station in time. I am going to the beach. Are you coming ------- not? A subordinating conjunction is a word that begins a subordinate clause. As my children grew older, they stopped watching movies. Sheena left the school as she wanted to study abroad. Biology was my favorite subject when I was at school. Call me when you've finished your home work, dear. Can you spare five minutes when it's convenient? He had just drifted off to sleep when the phone rang. Although small, the kitchen is well designed. I always avoid this road because there are umpteen stray dogs. I whitewashed my house myself because I wanted to do it. Activity: Complete each sentence using a suitable subordinating conjunction. ----- you see Leenus, give him this book. ----- necessary I can come at once. You can stay for the weekend ------ you like. ------anyone calls, tell them I'm not at home. -------- you improved his communication skills, he'd easily get a job. ------- I was in charge, I'd do things differently. (rather formal) ------- I were in charge, I'd do things differently. My manager received me with a smile-------- I reached the office a little late. I’ll see you tomorrow------something unexpected happens. Online coaching is the right option-------it gives everyone a fair chance. An interjection is a short sound, word or phrase spoken suddenly to express an emotion. 1. Aha!- It’s an interjection used to express pleasure, surprise, triumph or derision. Aha! My ‘I phone’. I thought I had lost it. Aha! Our team has won the match. Aha! Looks mysterious! How could anyone live in a house like this? 2. Ah! – It’s an interjection used to express excitement or surprise. Ah! I thought you were in Chennai. I was there but I got back just an hour ago. 3. Alas!- It’s an interjection used to express unhappiness, pity or concern. Alas! Everything is lost. Everything is burnt to ash. Alas! People have voted against us. We’ve lost all our seats. Alas!That’s a pity. Oh! That’s a pity. Alas!All our rivers and lakes have been destroyed. Well! I never criticize religions. Well! Let me think a little. In my opinion corruption is a mental illness. It’s indeed my pleasure describing my village. I live in Azhagappapuram. It’s a beautiful village. It’s a farming village, too. Most of our people take to farming. Our village is located between Anjugramam and Mylaudy on the Anjugramam Nagercoil road. It’s around ten kilometers to the North of Kanyakumari. So tourists come to our village on their way to Kanyakumari. Our ancestors highly valued education. So they wanted a school in the village. They soon realized their educational aspirations. Yes, the first school in our village was founded in 1915 by a great teacher in his own house. With the support of some few teachers and the philanthropists of our village the school gradually developed from lower primary to Grade V. And in 1921 the founders dedicated the school to the village. In those days the village school was called “Thinnai Pallikoodam” (Home School). Patronage of education poured in from every family and every individual of our neighborhood. Happily, today there are two higher secondary schools, a high school, a primary school and a play school in our village. There are two health care centers, Govt. Primary Health Center and Velankanni Hospital, serving the cause of health promotion in our village. Our parents highly value formal education. So, all the children attend school. Our villagers are hard workers. Many of our men work in the gulf countries. Some few work in Europe, U S A, U K, Japan, Australia and Africa. We love everybody and live in perfect harmony. I like my village and love all my neighbors. Thank you. I live in Muttom. It’s my native village. I like my village and love everyone here. It’s a beautiful place. Muttom is a fishing village located sixteen kilometers to the South West of Nagercoil. Catholics make up most of the population here and they do a variety of jobs. Majority of the people are fishermen. They go fishing every day. Most of the people are matriculates. 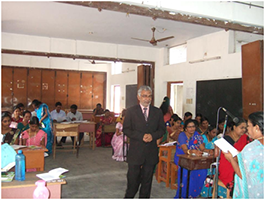 Muttom has a primary school, a higher secondary school, a C B S E school and a college of education. Work has begun on the construction of a medical college. Muttom has a clean and beautiful beach. The fishing harbor and the Children’s Park add to the loveliness of the seaside resort. Children play games and enjoy a lot of fun there. You are welcome to Muttom. Thank you. Entertain your friends with a brief description of your village/town/city/neighborhood. Please note the subject and verb are the basic elements of a sentence. Subject is the part of a sentence about which something is stated in the sentence. Those ladies and gentlemen are my neighbours. Complement: Complements are two kinds: subject complement and object complement. Subject complement describes the subject while object complement describes the object. Our Japanese friends produce useful things. Objects are two kinds: direct object and indirect object. The direct object is directly connected to the verb element of the sentence. The indirect object is indirectly connected to the verb element through a preposition. People of India elected Desai Prime Minister. Hard work makes our life pleasant. We consider the proposal very important. The blare of car horns drove grandma mad. Uncle Chaplin makes our children kites. My mother bakes us birthday cakes. Prof. Niharika teaches the British Hindi. My parents gave me my name. Uncle Chaplin makes kites for the children. Prof. Niharika teaches Hindi to the British. My parents gave my name to me. We met at 6 o’ clock. Our children live in Greenland. The Syrians are in a state of panic. Adjunct is an adverb or phrase that adds meaning to the verb in a sentence. Adjunct tells us when, where, how, how often or in what manner something happens. Last year we purchased a flat in Bangalore. Every year Rathika celebrates her son’s birthday in a grand manner. In China hosts serve tea as soon as guests enter their house. Even today some people eat fish raw. 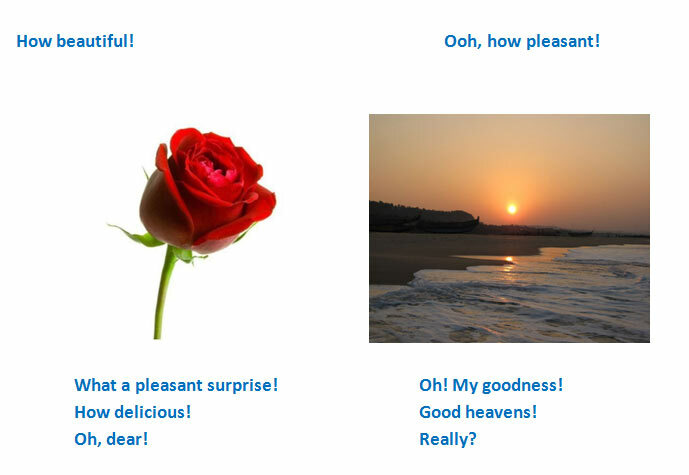 Activity 1: Read the following story, pick four sentences you like best and identify the pattern of the sentences. Once there lived a teacher. He was very honest and quite straight forward with everyone he met, particularly his school children. On his first day at school he introduced himself saying he was just an average teacher. As he was a fresher from the college of education and as he didn’t have any exposure to schools he thought he would be an average sort of teacher. So he said to his class children if he worked out four problems two would be right and two would be wrong. Self introduction over, Mr. Straightforward turned to the blackboard to start his lessons. He wrote “Algebra” on the black board and asked his children to define Algebra. As there was no response, he turned to see the class. As can be expected all the students had left the class. If you were the teacher would you introduce yourself as an average teacher? Why? Why not? If you had been one of the students, what would you have done? Activity 2: Answer the following questions, write a dialogue using the questions and your answers and then identify the pattern of the sentences. Does your name have any particular meaning? If yes, what does it mean? Do you like your name? Why? Why not? Would you like to change your name? Why? Why not? Who usually names babies in your country? Do you have any special traditions about naming children? What names are most common in your hometown? Is it easy to change names in your country? Examiner: Who gave you your name? Examinee: My dad gave me my name. On a warm Sunday around 12p.m. a boy was standing at a crossroads. He did not know which road to take to reach his destination. At that time an old man looking wise came there. The boy requested the old man to direct him to the right road to reach his place. The old man asked the boy where he wanted to go. The boy replied he did not know that. The old man said to the boy with a smile he could take any road. What would the boy have done? Those who are headed nowhere generally get there – quickly! We often confuse goals with dreams, desires, or even delusions. Begin reflecting on your plans for the future by analyzing the past. Who are you? Are you content with yourself? Do you feel you have chosen the right course of studies? Upon analyzing who you are and where you are, you can better determine where you wish to go. At this point, your goals begin to crystallize. The next step is to plan your time and work your plan. To make your dreams come true and to learn to utilize your time effectively, you must write down your goals and maintain a clear vision of them. The road to achieving goals is always under construction. Finally, be sure to set challenging yet attainable goals. And always remember you establish the criteria to determine if the goals are useful. No one else should do that for you! What do you do to attain your goals? Accordingly, your next move is to list the activities you must accomplish to reach your goals. Decide what you want out of your life. Determine the necessary steps to reach your goals. Give these activities priority according to their relative importance to fulfilling objectives. Plan your time and work your plans. Do you know the career you are cut out for, the one you would enjoy pursuing and doing? Is your college education appropriate for your choice career? What kind of training programs have you planned to undergo to excel in your career? Do you know how much money you need for your education and training? Does your present economic means suffice for your needs? When we are physically well? When we are able to forget our body we are physically well and normal. What are the factors contributing to physical wellness? Do you eat the right food in its right quantity and quality at right intervals in the right manner? When should I think about my marriage? Am I fit for marriage right now? Am I physically fit for marriage? Do I have a reasonable degree of emotional maturity to share life with a partner and enjoy the fragrance of marriage all my life? Is my behavior socially acceptable? Do I have a deep sense of spiritual realization? Am I mature enough to think about my marital life now? Do I know what my civic duties, responsibilities and authority are? Those who love everybody will be able to live every moment. Those who live every moment in its fullness let others live their life in its fullness, too. Those who live a purposeful life contribute something substantial towards making the society a better place. We receive gifts from society to make our life better. So we have a responsibility of leaving the society better. All of us have a body, mind and spirit. We are able to see the body, feel the mind and realize the spirit, the soul, the TRUE SELF or the presence of God within us. Spirituality is the quality of being able to love everybody unconditionally and live every moment in its fullness. GOD is LOVE and LOVE is GOD, both are inseparable. GOD reflects Himself in every human person. God is present in every human person in the form of SPIRIT. Those who realize the presence of GOD/SPIRIT within are as divine, as powerful, as creative and as loving as GOD Himself. Step 1: Tune into your positive vision channel. Step 2: Discover the best within. Step 3: Enjoy a high self esteem. Step 6: Envision results and enjoy your work. Step 8: Thank God for the gifts you have received. Are you a time user or a time passer? Do you run your life yourself towards your most favored destinations? If you do, you are a successful person. If you don’t, somebody else will run your life for their fortune. Relax while you learn and learn while you relax. Shanthinikethan is a good school. Every child should get good food. The grade x results are pretty good. The washing machine was in good condition until last year. Did you have a good time in Maldives? It's a good thing you came early. Are you well enough to travel? How are you? I’m very well. It seems that all is not well at our university. The kids all behaved well. The conference was very well organized. His election campaign is going well. Cats and dogs make very good pets if treated well(= with kindness). People speak well of Gandhi and Nelson Mandela. (= speak with approval of). She took it very well (= did not react too badly), all things considered. Q: Could you please tell me the difference between “actually” and “in fact”? Is there any difference between them? A: They are all very similar, but there are also slight differences in use. It's not actually raining now. That's the only reason I'm actually leaving my native village. What did the U.S. President actually say? I used to live in Chennai; in fact, not far from where you're working. Q: Has she cleared the entrance test? Yes, she has; in fact she is now preparing to take her finals. I thought learning English would be difficult. In actual fact, it's very easy. Life offers gifts in abundance. THE EXCELLENT GRAB THEM WHILE THE AVERAGE MISS THEM. Now is Right Time to unwrap the Gift Boxes our life offers. Live every moment in its fullness. Please stage the play with friends and family members. Once there lived a king. He loved his people so dearly that he wanted them get the best gifts of life and enjoy every moment in its fullness. So he called the wise men of his court and told them to go round the globe, visit libraries, do research, interact with the sages of other countries and return with the magic formula of getting the best gifts this life can offer. What did the wise men do? Were they able to work out the gift formula? 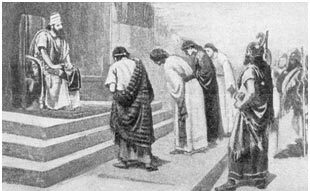 Was the formula acceptable to the king and his people? Please watch the play for answers. The king meets the wise men. Wise men: Namaste maharaj! Long live your mejesty! King: Welcome. We sent for you to discuss the gift formula to help our people enjoy life in its fullness. I love my people. In fact they are very lazy. They never work efficiently on their own. But I want to help them live happily. So I want to give them the magic formula of happiness as a token of my love. You are the wise men chosen to help our people. You can go round the globe. You can visit any number of libraries. You can do research and interact with the sages of other countries. But you must get me the magic happiness formula. Wise men: Thank you, your majesty. We need some time to work out the formula. King: We grant you ten years. Wise men: Thank you, your majesty. We leave by order. We return with the gift formula of happiness. King: Welcome wise men. Hope you have brought forth the gift formula of happiness. Where is that formula? I can’t wait any longer. I must hand over the formula to my people and help them live and enjoy every moment in its fullness. A wise man: We submit our finding here. We visited libraries, consulted scholars and did a lot of research to work out the gift formula of happiness. King: Where is that formula? Don’t make me wait. Give me the formula. A wise man: These volumes contain the gift formula, your majesty. King: Good heavens! How could our lazy subjects read this encyclopedic philosophy of happiness? They can neither read nor listen to your philosophy. So abridge your books. Make them easy to understand. Wise man: Your majesty! That would be a difficult task. To accomplish it we need another ten years. King: We grant you ten years. Make the most of the time and bring me the magic formula in as few words as possible to help our people understand it and make the most of it. Wise man: Your majesty, we obey your orders. We shall return with the abridged version of the gift formula in another ten years. King: May God bless you and fill you with enough wisdom. King: Hello sages! I very much appreciate your wisdom and admire you for the hard work. But you must understand our people are not readers, nor are they hard workers. They are lazy. But my love for them blinds me to the truth. I want to give the magic formula in a few words. Brevity is the soul of wit, isn’t it? So make your formula easy enough for our people to understand without much effort. Wise men: We understand your good intentions maharaj. We shall bring you the shortest version of the gift formula. But we need another ten years. King: You may have your own time. Make sure when you return after ten years you bring me the magic formula in a nut shell. Do you understand what I mean? Wise men: By your order, your majesty. King: Who is there? Where are the wise men? Where is the magic formula? How dare they leave my court without my order? Courtier: Your majesty! The wise men came early in the morning hours. They looked very old and tired. They have gone very grey. They are thin and weak and have very and grey eyes. Actually it’s not wise to make them wait here. So we have admitted them to your Royal Home for the nonagenarians. King: Well done. But where is the magic formula? Courtier: Here you are, my Lord! They have left the magic formula on your table. King: Ah! I have got the magic formula. I can help my people live a happy life. Nothing is free in the world. If you agree to the statement what should be the price for happiness? Why does the king remain silent after reading the message the wise men had left on the table? Can you guess the magic formula, the one that helps us live happily? I hope so. Please explain the magic formula of happiness with appropriate examples. Why Developing Countries Remain Poor? It may be easy to answer the question by saying that the developing countries are poor because they are poor. The question again is why so? The main reason is population explosion. Whatever progress made by this category of countries is effectively counterbalanced by an ever increasing population. It is like a typical family. If the number of children is more than four and the daily or monthly income moderately increases, the typical family will have problems in later years to make ends meet. It won’t have a scope of savings and its financial difficulties will keep multiplying. Similarly a country, having to take care of over a billion people, will always find itself scuffing for cash. Even if it makes significant progress in mopping up revenues, expenses would outpace those. The result is low or no savings. Such countries are usually forced to apply for loans from international banks and financial institutions. After having got the funds, the recipient developing countries would find it difficult to repay or debt-service as undertaken by them. Another aspect that typifies a developing country is its grossly inadequate sanitation and hygiene. The consequence of this is outbreak of diseases and at times epidemics. The main reason for this serious shortcoming is meager allocation of funds and resources for up-keep of the country. It is like a Domino Effect. One bad occurrence will trigger off a chain of several reverses. In this context, it might be appropriate to invoke China, the emerging super power (or, already one?) Before 1975, China was lagging behind India in all walks of life. Its Per Capita income was nearly half of India’s. Undaunted, China was in search of the main reason why it was lagging behind several countries of the world, including India. It figured out that rapid population growth rate had prevented it from making real progress and lift its population out of poverty and squalor. After considerable deliberations, China promulgated an ordinance that ordered each Chinese couple not to bear more than one child. The one-child policy made the people wary. It is customary for any couple anywhere to have two children, at least: one heir, one spare. But the Chinese were abruptly deprived of that small luxury. They were disallowed to have more than one child. If anyone broke the rule, he would lose the government provided benefits like subsidized food ration, health care, bank loan, etc. Gradually, the Chinese people started complying with the strict one-child policy. The population slowly stabilized and eased the pressure that had built on the nation. In about 10-15 years, China made giant strides in major areas like industry and infrastructure. This made China a favorable location for world factories. It attracted billions and billions of foreign direct investments. Soon, the Chinese per capita income and purchasing power leapfrogged. The world started looking at China with awe. As religions had been banned long since, Chinese had a lot of time at their disposal, unlike many other countries, which wasted time on glorifying imaginary gods and fighting wars on religious lines. If other developing countries want to grow rapidly and shed the “developing country” tag, they can very well replicate what China did to defeat the odds and forge ahead to write a success story. To be honest, the Chinese experience is no panacea. It may not work in other places. But it is worth trying to eradicate poverty, penury, ill-health, illiteracy, superstitions, and lack of cleanliness prevalent in developing countries. A confident big push might do the trick! Please listen to the presentation and read it aloud four times as you have heard. ♦ A sentence is a group of words which make complete sense. ♦ Sentences are four kinds. They are assertive or declarative, interrogative, imperative and exclamatory sentences. ♦ Sentence is the major unit of grammar. ♦ My favorite food is mashed potatoes. ♦ I think Denmark has the best food. ♦ We must avoid fried rice. ♦ My dad generally does the cooking in our family. ♦ What’s your favorite food? ♦ Which country has the best food? ♦ Why should we avoid fried rice? ♦ Who generally does the cooking in your family? 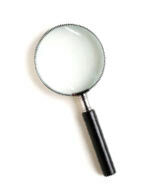 ♦ Do you have a clear vision of your career goal? ♦ Is this mobile yours? ♦ Have you finished your lunch? ♦ Please lend me your mobile for an hour. ♦ Please help me with the luggage. ♦ Pass me the soup, please. ♦ Kindly wait for some few minutes. ♦ Do as I command you. ♦ Stop talking and listen. ♦ Keep your hands spotlessly clean. ♦ Stay away from our politicians. ♦ Drink plenty of water. ♦ Play your favorite game regularly to keep fit. Please listen, read, watch and then interact with your online guide. Gary: Hi Ellen! I’d like to visit Denmark. Ellen: You are most welcome. Gary: Well, why is Denmark one of the happiest countries in the world? Ellen: Because everybody is happy in Denmark. Gary: Are the immigrants happy, too? Ellen: Of course they are. Garry: Where is Demark located? Ellen: It’s located in the continent of Europe. Garry: Who are the neighbors of Denmark? Ellen: Well, Denmark has Norway to the North, Germany to the South, Sweden to the East and the United Kingdom to the West. The country is surrounded by the sea except for Jutland, the largest part of Denmark. It is connected to Germany by land. Garry: What’s the capital city of Denmark? Ellen: Copenhagen. Come; let’s enjoy a virtual tour of Copenhagen. Gary: Wow how beautiful and clean! Is the whole country clean and beautiful? Shall we have a video tour of the whole of Denmark? Ellen: Why not? Please watch the video clip. Gary: I’d be pleased to know about the education system in Denmark. Ellen: Well, education is open to all on a lifelong basis and generally free. So every citizen attends school and receives the kind of education he/she likes and achieves the career they aspire. Gary: How well do students participate in the curricular and co-curricular activities of the school? Ellen: They actively participate in all the activities including interactive sessions with teachers, group discussions, opinion sharing and project work either individually or in small groups. Gary: I understand why Denmark is one of the most favorite study destinations for the youth of the global community including USA and U .k. How about health care in Denmark? Ellen: Provision of health care in Denmark is to a considerable extent a public task as around 85% of health care expenses are financed by public funds. Gary: Denmark has one of the highest tax rates in the world. Don’t the Danish object to high tax rates? Ellen: No they don’t. In fact, they are proud of paying high taxes and support the Danish Welfare State. The reason behind the high level of support for the State is the awareness of the dividends they receive. Gary: What kind of dividends? Ellen: Well, the citizens are entitled to quality education, sustainable employment and job security, food and housing, corruption free governance, individual freedom, equality before law, safety and clean environment. So what the Danish pay is not tax, it is their investment in the welfare state for quality of life. Gary: Thank you Ellen for the good time. I wish I were born and brought up in Denmark. Ellen: You don’t have to worry about that. You can move to Denmark if you really want to. Our attitude is the lens of our mind through which we see ourselves, others, the world and GOD. Everybody has an attitude to live. Each of us has a unique and highly personalized perception of reality, a way of understanding ourselves, our family, our education, our work, our colleagues, our employer, our organization, our personal needs, our organizational needs, our neighbors, our country, our religion, our world, our material possessions, dress code, food and eating habits,… and GOD. Each of us has a vision of reality that controls everything else about our life. That vision is the way we look at reality. It’s the way we look at ourselves, at other people, at life, at the world around us and at GOD. Such a vision is within you, within me and within everyone but that vision is different from person to person. Your vision is not mine and mine is not yours. For example, a husband's vision of reality/attitude is different from his wife’s and no wonder there are conflicts between them. Why is quality of life different from person to person? Everybody has the potential to live this glorious opportunity of life in its fullness. Everybody wants to get the gifts this life offers and enjoy life in its fullness. Do we live up to our potential? Do we make the most of the opportunity and live our life in its fullness? Hardly 5% of us live life in its fullness while the majority stagnates in mediocrity. Why is there such a difference between the excellent minority and the mediocre majority? The reason behind this difference is our attitudes or visions of reality. We are unique in our perception of reality and our attitude and so are we in life. Perception of reality can be either positive or negative. Similarly our attitudes/visions of reality can be either positive or negative, too. What makes us feel life is good and live it happily is our basic attitude. Everybody wants to be healthy and happy. Agree? Disagree? Partially agree? All happiness and health begin with the way we look at ourselves, others, our work… and things. Our participation in the happiness of a full and human life is determined by our personal attitude to reality. In other words, if our attitudes are positive, healthy and realistic then our life and career will be happy and beneficial, too. On the other hand, if our attitudes/our visions of reality are negative, distorted, crippling and unhealthy these negative attitudes will have a negative effect on our life and career. A positive vision of the self and the world as well. These people have the ability to see a winner within and a world of opportunities around. Opportunities are always there. The positives grab them while the negatives miss them. These people have a global perspective. Positive visionaries are good finders. They find the best within themselves, in everybody else and in everything around. They see themselves equal to every winner. They maintain a calm state of mind irrespective of what happens around. The ability to believe we can achieve what we really want. When we believe we can the how we can comes to us from within. Goal setting and the ability to envision the future. It’s the ability to set one’s own goals in the following areas: career, education and training, finance, health, familial life, social life and spiritual life. The positive visionaries are considered stable because they have the habit of remaining at one job, in one line of activity, and in one place of residence for a reasonable length of time- at least three years on the average. The habit of working steadily, on one’s own initiative, conscientiously and productively. Their habits will not allow them to be lazy. The capacity in a person to persist in an activity to its fulfillment despite difficulties and obstacles; the habit of finishing what one starts A positive visionary does not give up easily. He/she finds obstacles and oppositions challenging. He/she never gives up. The positive visionaries put the interest of others- employer, colleagues, associates, family and neighbors before their own and if necessary go beyond the ordinary requirements of their job and serve others’ interests. The habit of fighting one’s own battles rather than depending on others to do it. The capacity to make and hold friends to maintain healthy working relationship with colleagues, subordinates, associates and supervisors and to obtain and retain good personal acceptance by others. The positive visionaries inspire confidence, respect and trust in others. Others voluntarily go to them seeking aid, counsel, guidance and support. The Positive Visionaries know their needs and they have the ability to choose a career suitable for need satisfaction. They refuse to accept the fact that they are also responsible for everything that happens to them. As habitual complainers they try to put themselves up by putting others down. They do not like the way they are. They cannot live with themselves and so they try to satisfy their need through a form of substitution. They discover emptiness within an so feel depressed. As they don’t discover their best within they feel low and become lower than what they really are. Low self-esteem is frequently accompanied by an abnormal fear of making mistakes. As they fear making right decisions, they postpone. This “poor me” results from our inability to take charge of our lives. People with negative attitude allow themselves to be placed at the mercy of other people, circumstances and conditions. Unable to accept their miserable self they escape from their disturbing self by committing suicide. The happiest discovery of our generation is that we all can change our lives for the better, live every moment happily and enjoy life in its fullness in perfect harmony with our fellow citizens by changing our attitude. ❦ How do we express the three times using the two tense forms of the verb? ► The past tense form of the verb is used to express the past time. I visited my grandpa yesterday. We played a match last evening. My sister left for Tokyo an hour ago. Our students attended an interview last Sunday. These children go to Evergreen International School. (ii) The present tense form of the verb is used to express the future time, too. I get back to you after an hour. We leave here for Japan tomorrow. Our school teachers meet the parents coming Saturday. The Simple: present simple, simple past, simple future. The Continuous/ Progressive: present continuous, past continuous, future continuous. The Perfect: present perfect, past perfect, future perfect. The Perfect Continuous: present perfect continuous, past perfect continuous, future perfect continuous. I am a student. we are students. I am healthy and smart. We are comfortable here. I am six feet tall. My parents are of middle height. I enjoy travelling with friends. My friends love eating with me. Reading is my favorite part of life. We love to meet people of different cultures. This is my father. His name is Fog. He is fifty-five. He is a journalist and a travel writer. He travels around the world, meets people of different cultures and shares his experience in the social media. His little articles which appear in the social media are very much appreciated by the global community. This is my mother. Her name’s Isabel. She is fifty two. She is a software engineer. She has a talent for painting. So she paints pictures during her spare time and gifts them to friends and neighbors. Everybody admires her paintings and adorn the walls of their homes with her paintings. These are my grandparents. They are retired teachers. They are good at story telling. So we listen to their stories before going to bed every night. Believe me, sometimes we fall asleep while the stories are still in progress but that doesn’t stop their narration. This is my brother Ajar. He is a college student. He attends National Institute of Biological Sciences in II M.Sc. microbiology. He wants to be a scientist. And this is my sister Natalya. She is a school girl. 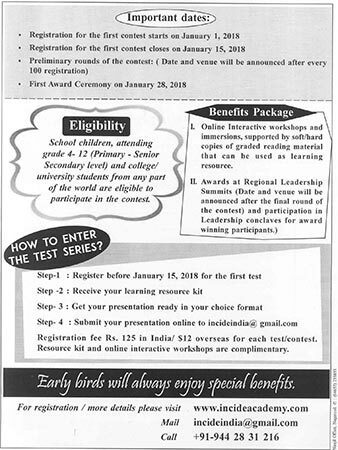 She is doing her grade xii at Evergreen International School. She is a voracious reader. She wants to be a short story writer. How is the weather out there? We have a fine weather. It is sunny and warm out there. It is very cold and cloudy. One of the powerful forces, if not the most powerful, controlling our life is our habit. Do you agree with me? I hope so. From getting up in the morning to going to bed at night ninety percent of the things we do are habitual. I am an early riser. So I always get up at 4.30 a.m.
We are vegetarians. We eat plenty of fruits and vegetables. Some of our villagers smoke after every meal. Smoking is a bad habit. My first food is a banana and a glass of warm water. Our children brush twice a day. Our ministers are never punctual. Do you smoke? I hope you don’t. Smart children do their home work in time. Successful people generally plan their time and work their plans. It’s a good habit. ► Are you the laziest creature in the world? If you think so, you may be wrong. 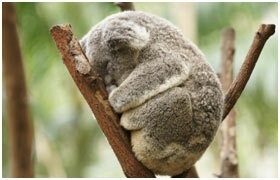 ► The koala is lazier than you are. It sleeps eighteen to twenty two hours a day. 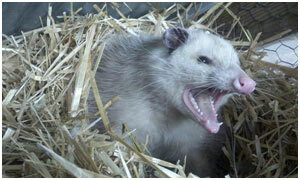 The opossum is another lazy animal and very easy-going, too. They sleep for eighteen to twenty hours a day. 2. Hello! My name is Alison. I am a home maker. My main job is to take care of my husband, children and home. I cook for the family, do the dishes, wash clothes, clean the house and help my children with their home work. At weekends I go shopping to buy provisions for the family. 3. Q: Hello friends, what do you do for a living? Q: Would you please introduce yourself? A: Of course, with pleasure. I’m Chino Sami. I’m a fourth generation farmer. Our main crops include paddy, banana and green vegetables. Q: How successful are you in your service? A: Rightly said it’s just a service. We have ten acres of land. My wife and I go to the farm every morning and work till noon. We have two farm assistants. They live in our farm house and take care of the farm. We generate some income to live by and educate our children. We live happily in perfect harmony with our neighbors. Q: That’s fantastic. Would your children take to farming? A: Um! They’d never. I have two sons and a daughter. They may leave the village and settle in cities or may even leave the country. A: In our country farmers cannot survive. The government is very much against the farmers and agriculture. We have lost almost all our water bodies. How could any farmer survive in a country like this? Q: Would our people learn lessons and vote people friendly leaders to power in the ensuing election? Hello, friends! Good morning everybody. It’s indeed my greatest pleasure describing my neighborhood. I live in the neighborhood of Evergreen village. Evergreen is a farming village. We have gorgeous mountains and luxuriant vegetation around our village and so it is beautiful. Our village is located between Chennai and Bangalore on the Chennai Bangalore Highway. It’s around forty kilometers to the West of Chennai and there are posh restaurants on both sides of the highway. So tourists from both cities visit our village almost every day. There are two higher secondary schools, a C.B.S.E. School, four primary schools, two play schools, an athletic complex and a primary health center in our village. Our parents highly value education. So, all the children go to school. Our villagers are hard workers. Many of our men work in the gulf countries. Some few work in Europe, U.S.A. Australia, Japan and Africa. We have a village parliament with neighborhood leaders who take care of Education, agriculture, water management, community welfare, sports, entertainment and all essential services. So life is very pleasant and people love everybody and live in perfect harmony. Thank you. What's the weather like in your neighborhood today? Please describe the weather in your neighborhood. You are welcome to borrow sentences from the sentence bank. ❦ We have a fine weather today. It’s neither cold nor hot. It’s pleasant. ❦ The weather is nice today. The weather is good today. ❦ The weather is awful today. ❦ We have a nice weather, haven’t we? ❦ It's a nice day, isn't it? ❦ A terrible weather, isn't it? ❦ It's very hot today. ❦ We have a foul weather. It's cold today. It is cold and stormy. ❦ It's getting colder every minute. ❦ It's humid. It's hot and humid here. ❦ It's cloudy, but there's no rain. Maybe it will rain at night. ❦ It looks like rain. It's going to rain. It's supposed to get warmer in the afternoon. ❦ It's raining. It’s drizzling. It’s pouring in torrents. ❦ It's snowing. It's snowing hard. ❦ I have to grab the umbrella and go out. ❦ It’s sunny. So I simply enjoy the fine weather. ❦ Look! How our kids enjoy the fine weather! ❦ Lovely weather brings out butterflies. ❦ The weather is awful. We can’t go out. ❦ What a dramatic change in the weather today! Warm and sunny! Come let’s walk around the village. Activity: Complete the following dialogues writing one word for each blank. Please feel free to borrow words from the word list and make sure you use them in their correct form. A: Hello. How ----- you? B: Very well thanks. How about you? B: Good to ----- you again. How…. everybody at home? A: I….sorry you have to -----. When shall we ----- again? B: Shall we ---- over the week end? A: ---- you ------English fluently? B: No, not very fluently. ---- English easy to learn? A: Of course, it---- very easy really. B: But I ----- ----- so. A: The difficulty-----not in the language. It ----in the method of teaching it. B: Really! ----you----- me English? A: With pleasure. ----you ----- your mother tongue fluently? B: Yes I do ----- my mother tongue fluently and accurately. A: Good. How ------ Children generally ----- to -------their mother tongue? B: Well, by listening and speaking. The moment children are born their mom, dad, grandpa, grandma…everybody starts saying something in the mother tongue. Children just ----- to them with interest and ----- an attempt to ----- whatever they ----. A: Fine. That --- basically the right approach to learning a language. What skills do children------first? A: Exactly. And what skills do they learn at school? A: Wow! You ---- right. That exactly ---- the natural process of learning a language: listening, speaking, reading and writing. And so we ------ this process in our INCIDE Academy. No wonder, our students ------ faster, ------ words, phrases and sentences longer and ------- their thoughts and feelings and knowledge and ideas effectively with reasonable fluency and accuracy. B: Thank you, sir. I ----- the confidence I can learn to speak English fluently by listening to English and speaking it. Bye. A: Wish you well. Have a great day. I started school at Evergreen Play school when I was just three. I moved to St. Antony’s Primary School at five and passed my grade five from the same school. I went to St. Antony’s Hr. Sec. School at 10 and passed my Higher Secondary course in 1995. 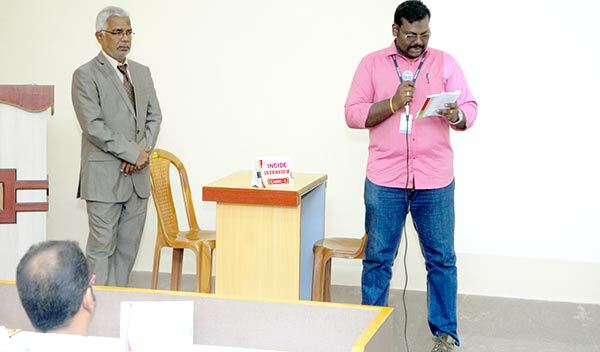 I attended Thirunelveli College of Engineering and passed my Bachelor of engineering degree course in computer science in 1999. While I was doing my final year, I applied for job in several companies. I attended half a dozen interviews and finally found a job as sales executive in a reputed company. My monthly salary was Rs. 38, 000 and this was quite a good salary for Chennai. I needed this money for my family’s survival in Chennai. So I continued to work for the company. I am able to work up to my company’s expectations and beyond and so I have been promoted to Marketing Manager and subsequently my salary has been increased to Rs. 85, 000 a month. I am comfortable with my career, but I have a dream, which is to start a school in one of our villages and serve the cause of education. I know it is extremely expensive and I'll have to save up for years. However, this is fine with me. The future belongs to those who believe in the beauty of their dreams. And I am one. I know while it is important to dream, the actualization of our dreams is more significant. For that to happen it is essential that we plan our time and work our plan envisioning a happier future for the society we live in. I have a dream. I want to go to our villages, organize our neighbors into neighborhood communities and open Neighborhood Community Schools in partnership with the members of the community and serve the interests of people particularly education and employment. J. Vensuslaus, now in his mid-60’s, is an Office Administrator with over thirty five years of experience. At the outset, he served for a couple of years as an understudy at small commercial offices in Mumbai to become familiar with business routines and office administration. He then started off with Steel Authority of India Limited, a Government of India Enterprise, in early 1970’s as an Administration Executive and worked there more than a decade. In this capacity, he was involved with a gamut of commercial and administrative activities. He also functioned as a reporter, attending meetings, preparing and disseminating minutes of such meetings. He was also engaged in the preparation of a slew of management reports. In the early 1980’s, Vensuslaus moved on to the Middle East to take up a similar assignment with a multinational company where he came in touch with a multiracial, multicultural workforce. His background enabled him to discharge his duties to the entire satisfaction of the management and make contribution to the success of the company. As Administration Officer, among various other things, he had to write a lot on various issues to keep the communication going. In the year 2000, Vensuslaus moved over to Kuwait to work for an educational training and informational technology consulting company called New Frontiers. His vast experience in administration and his effective writing skills are put to full use. He interacts and coordinates with scores of professors located in different countries, educationists, government officials and professional colleagues. He continues working for this company. J. Vensuslaus holds a B.A. (Hons) Degree in Economics from the University of Bombay. He did his schooling at the St. Antony’s School, Azhagappapuram. 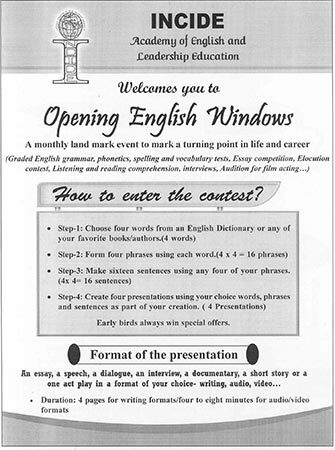 He has got a (Maharashtra) government diploma in higher proficiency English Shorthand. He has been awarded diploma in computer: Microsoft Office. While in the Middle East, he has attended week-long Effective Writing Workshops conducted by the English Language consultants from the U.S.A. He extensively writes opinions, comments, anecdotes and stories on Face Book, mostly in English. J. Vensuslaus is married and has two sons, who are currently working in the U.S.A. as software engineers. 1. The present continuous is used to express an action in progress at the time of speaking/ the present moment. Example: Read the dialogue aloud four times and practice saying it with a friend. Mom: Breakfast is ready. Hurry up. What are you doing there Nick? Son: I am watching TV, mom. Mom: What is daddy doing? Son: He is polishing my shoes, mom. Mom: What is grandpa doing? Son: He is inflating my bike tires. Mom: What is your sister doing? Son: She is doing my home work, mom. Mom: Are you funny? Everybody is working for you and you are simply sitting watching TV.Are you not wasting your precious time? I am coming with a cane. Son: Oh, no! It’s a little too much. 2. We use the present continuous to express what is happening over a temporary present period. Example: Please read the dialogue aloud four times and practice saying it with a partner. Grandson: Granny, what are you doing? Grandma: Look over there. There’s a thirsty crow. I am watching him for fun. Grandson: Grandma, the crow is looking for something. What is he looking for, granny? Grandma: He is looking for water to quench his thirst. Hurray, boy! What are you doing? Grandson: I am filling the birdbath with water. Grandma: That’s really great. Look! The crow is flying straight down to the birdbath. Grandson: Look over there granny! What is the crow doing? Grandma: He is drinking the water. He is slaking his thirst. Grandson: And now he is cawing. What is he cawing for, granny? Grandma: He is calling his friends. And look! Many more crows are coming to our garden. They are drinking water to quench their thirst. Grandson: Some of them are bathing and cooling themselves, too. Grandma: How clever our crows are! They have always been a symbol of harmony. 3.The present continuous sometimes refers to habitual activities. Example: Read the following sentences aloud four times. Are you taking bath every morning? Of course I am taking bath every morning and evening. Are you brushing every morning, too? Are you kidding? I am brushing after every meal. Oh, really? Are your parents doing some exercise regularly? They work out regularly to keep fit. 4. The present continuous sometimes expresses what is going to happen in the future. Example: Please read the dialogue aloud four times and practice saying it with a friend. Nat: When are you taking your IELTS exam? Sam: I am taking it next month. Nat: When is your sister leaving for Canada? Nat: Are your family members going with her? Sam: No, they are leaving a month later, sometime in January 2019. Nat: And when is your dad returning from Australia? Sam: Well, he is coming sometime next year. Nat: Is he coming with a visa for you? Sam: Of course yes. And I am leaving here immediately after his return. 1.The present perfect is used to express completed activities of the present moment. Have you finished your breakfast? Yes, I have finished my breakfast. Has your mom prepared lunch for you? Yes, she has prepared a delicious lunch for me and has packed it, too. Has your teacher given your exam time table? Yes, he has given it. Have you all prepared for the exam? Yes, we all have prepared very well for our exam. Have all the students arrived in time for the exam? Yes, they all have arrived in good time. 2.Present perfect is used to express an indefinite past action whose results can be felt in the present time. I have passed my IELTS examination. We have received our pass port. You have won the race. Your brother has received the birthday gifts. He has sent his return gifts to all his friends. My mother has passed her driving test. She has passed all her students in the final exam. Our villagers have restored our lakes to their former glory. It has brought many changes in our village. I can’t live here any longer. I have lost the election. 3. Present Perfect can be used to talk about a state of being leading up to the present time. Our streets have been dirty for years. Grandma has been ill for months. These children have been happy and healthy since they started school. Our house has been clean since renovation. My parents have been married for fifty years. They have lived in Canada since their marriage. 4. We use the present perfect to talk about past actions which are not recent but which are felt as part of our experience. I have travelled the length and breadth of Malta. Have you travelled around Africa? I hope you have. Fog has travelled around the world. My grandpa has worked in Sri Lanka. Have your children visited Antarctica? Ms. Sophia has studied in Italy. Our students have read all the plays of Shakespeare. 5. Present Perfect is used to give news. Fire has broken out again in the basement of the LIC building. According to latest reports IIM has won the election. Cholera has broken out again in the city. Police have issued flood warnings in Kerala. I have just returned from my holidays. Our coast guards have recently discovered an uninhabited island in Maldives. Our new principal has only just arrived. So we’ll give him some time to relax. The air craft has just landed. Have you ever thought of contesting elections? Have you ever visited Solomon Island? My last interview was the worst day I have ever had. Q: How many countries have you visited so far? A: well, I have visited some fourteen countries so far. Q: Which one have you enjoyed most? Q: How many gold medals have our athletes won? A: So far they have won twenty eight. Q: I have studied in eight colleges so far. How many colleges have you studied in so far? Q: How many books have you published so far? A: So far I have published sixteen books. Q: When did your son leave for Germany? A: He left a week ago but I haven’t received a mail from him yet. Q: How long has your wife been working in this school? A: She has been working for twenty years but she hasn’t been given promotion yet. Q: How long have our children been doing their home work? A: They have been doing it since they returned from school but they haven’t finished yet. Q: How long have our ministers been discussing the Cauvery water management issue? A: They have been discussing it for half a century but no concrete decision has yet been made. Q: When is grandma going to retire from service? A: She is past sixty but she hasn't yet set a date for her retirement. 8. We use the present perfect for something that happened in the past but is important at the time of speaking. I can’t open the door. I have lost my key. Mom is not at home. I think she has gone shopping. Tina is tired out. She has worked the whole day. I can describe Malta. I have travelled around the island four times. Where have you been? I have just been out to the farmers’ market. Have you ever been to Abu Dhabi? No, but I’ve been to Dubai. I/We/You/They/ have been working in Denmark since 2012. She/he/ has been working in Demark since 2012. 1. The present perfect continuous is used to express an action/a state of being which began in the past, has continued to the present and is expected to continue into the future. I have been reading the papers since 6 O’ clock. We have been watching the news since morning. You have been working very hard since last Sunday so you should take a break. Sheena has been playing in the yard since she returned from school. Our children have been playing in the yard at the back of our house since an hour ago. She has been working in Philippines for four years. My brother has been cleaning the windows since breakfast. It has been raining for hours. We are unable to dry our laundry. They have been swimming and sunbathing since 2 p.m. I don’t know when they’d leave the pool. 9. We use the present perfect continuous for something we have done several times in the past and continue to do. I have been watching Discovery Channel ever since it started. My parents have been living in Japan since their marriage. Donne has been writing short stories since he started reading books. Our teachers have been staying with us in the hostel since their appointment. Complete the following conversation and practice saying it with a partner. Make sure you use the verbs in their correct form. Ms. Cobra : I told you to clean the windows. What --------you--------- there (do)? Maid: I ------ --------- (clean) them, madam. Ms. Cobra: No, you aren’t! You----- just ------- (watch) the kids playing in the yard. When are you going to clean the windows? Do ----- (clean) the windows right now. Maid: Madam, you ----- always ------ (give) orders. I------ ------ (work) from dawn to midnight without break. When ----- you ------ (allow) me some time to eat and rest, madam? Ms. Cobra : Time to eat and rest? Are you questioning me? How dare you? Are you not getting salary for your work? Maid: Salary? How much salary did you promise me at the time of appointment? And how much ---- (be) you ----- (pay) now? Simply sitting and monthly getting bureaucrats like you cannot understand the feelings of the working class. Sorry madam. I can’t work for you any longer. Good bye. Ms. Cobra: Do you know who I am? I ---- (be) ambassador. I can file a complaint with the police and send you to prison. Maid: Aha! Talking about prisons? ----(be) there a prison worse than this house? You don’t have to file a complaint, madam. I ------ (have) already------ (file) a complaint against you for visa fraud, holding my pass port, under payment and forced labour. In another few hours cops will come, take you to the court and the law will take its course. Good bye. Dr. Ramamurthy popularly called “Our Farmers’ Doctor” is in need of a driver. He wants to appoint a person who has a positive attitude to people and work besides impeccable credentials. So he leaves an advertisement at the garden gate of his house calling candidates for interview. Subsequently four candidates appear for the interview. Which candidate gets through the interview? I understand your curiosity about the results. Please watch the play. Candidate-1: Hi, watchman! Is Dr. Ramamurthy in? Elderly Person: Yes, may I know who you are? Candidate 1: I’m a candidate for interview. E.P. : Oh! I see. Then open the gate and enter. Candidate-1: You are the watch man, aren’t you? E. P. : Yes, I am. But, you can open the gate, can’t you? Candidate-1: It’s your duty to open the gate, isn’t it? Then why don’t you do it? E.P. : If you want to enter, open the gate yourself. Or stay out. Candidate-1: Are you going to open the gate or not? I’ll complain to the doctor. E. P.: Most welcome, gentleman. Please go ahead. E. P. : Good morning, sir. Who are you? C-2: I’m a driver. I’ve come for an interview. Is the doctor in? E.P: Yes, of course he is in. The gate is already open. Just raise the latch and push the gate in. C-2: Ok, let me try. (He raises the latch, pushes the gate in and enters.) Where is the interview going to be held? E.P. : At the doctor’s clinic. I know you’ve come for interview. But I am in need of help. Would you help me with my work? I’ve been working in the garden since morning. So I’m tired. Could you help me with weeding the garden? C-2: Sorry, security. I just can’t do such work. I’m a high profile driver so I’ll do only my work. I can’t do anything else. E.P. : Then you must look for some other person and find work. Our doctor wants a driver who is willing to do any job, gardening primarily, plumbing, electrical works and sometimes domestic chore, too. Candidate-3: Hello, gentlemen! Is this Dr. Ramamurthy’s residence? C-3: Is the doctor in? Man-1: Yes, he is. May I know who you are? C-3: I’m a candidate for interview. May I come in? Man-1: Please come in. You are most welcome. C-3: But the gate has been fastened. I don’t know how to open it. Could you help me? Man-2: Just raise the latch. It’ll open. C-3: (Opens the gate and enters the garden) I’d be pleased to know the venue for the interview. Man-2: I’ll take you there. But first follow me. We have been trying hard to take the submersible pump out of the sump. But it’s too heavy to lift. Could you help us? C-3: No, I don’t want to get dirty in the mud. C.3: Good morning , madam. Is the doctor in? Woman:Yes, he is. What’s the purpose of your visit? C. 3: I’m a driver, madam. I have come for interview. Woman: Welcome. Before you go can you help me with cleaning the fan and the ceiling? I’m unable to reach the roof however hard I try. Candidate-4: Good morning, sir. I’m driver Ravi. I’ve come for interview. May I come in, sir? Elderly person: Please come. C-4 : Thank you, sir. (Opens the gate, enters and voluntarily offers to help the elderly person.) May I help you, sir? E.P: You are welcome. Are you a passionate gardener? C-4: Yes, sir. I have a passionate interest in gardening. In fact gardening is my pet hobby, too. E.P: That’s great. What are the other kinds of work are you skilled at? C-4: Any work, sir. Plumbing, electrical works, painting, carpentry, masonry…any work. E.P: You look one very good candidate. Please wait in the parlor. C-4: Yes, sir. (He proceeds towards the parlor. He sees an elderly woman struggling to clean the roof of the parlor. He volunteers help.) Excuse me, madam. Can I help you? Woman: That’s kind of you. I have been making all efforts to clean the roof since morning but I’m unable to reach it. You can clean it after the interview if you prefer so. Woman: I very much appreciate your attitude to work and willingness to share work with others. A receptionist will take to the venue for the interview. Till then you can wait in the parlor. So take care. Receptionist: Good morning, sir. Are you ready for the interview? Receptionist: You look one successful candidate. Be confident. Would you like to have a glass of juice? Candidate-4: Good morning everybody. I’m driver Ravi. I’ve come for interview. Elderly man: Good morning, Mr. Ravi. Nice to meet you. I’m Dr. Rama murthy, general practitioner and Director of “Our Community Healthcare Centre”. Elderly woman: Well, I’m Dr. Helen Ramamurthy, gynecologist and secretary of this healthcare trust, of course wife of Dr. Ramamurthy. Man-2: I’m Dr. Moorthy, nutrionist. I advise people on healthy eating habits in order to lead a happy and healthy life. Good to see you here. 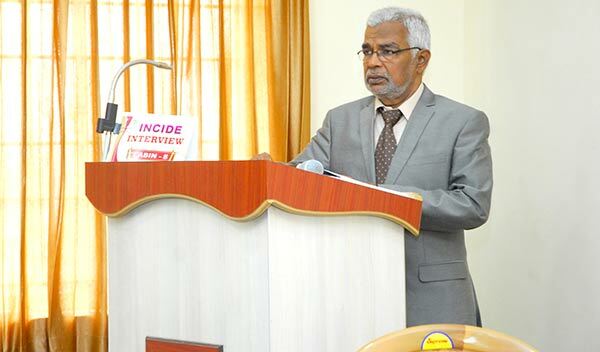 Dr. Ramamurthy: Fine. Now is your turn Mr. Ravi. You are welcome to introduce yourself. Hope you feel comfortable with us..
Mr. Ravi: Thank you so much doctor for the opportunity of meeting you all here. I don’t know how I can thank you enough for the warm reception and rich hospitality. I’m a graduate in mechanical engineering. I possess driving licenses for both light and heavy vehicles. I have worked for six years as chauffer, truck driver, delivery van driver and jumbo truck driver both in India and Dubai. Dr. Helen: That’s really interesting. Please describe your family. 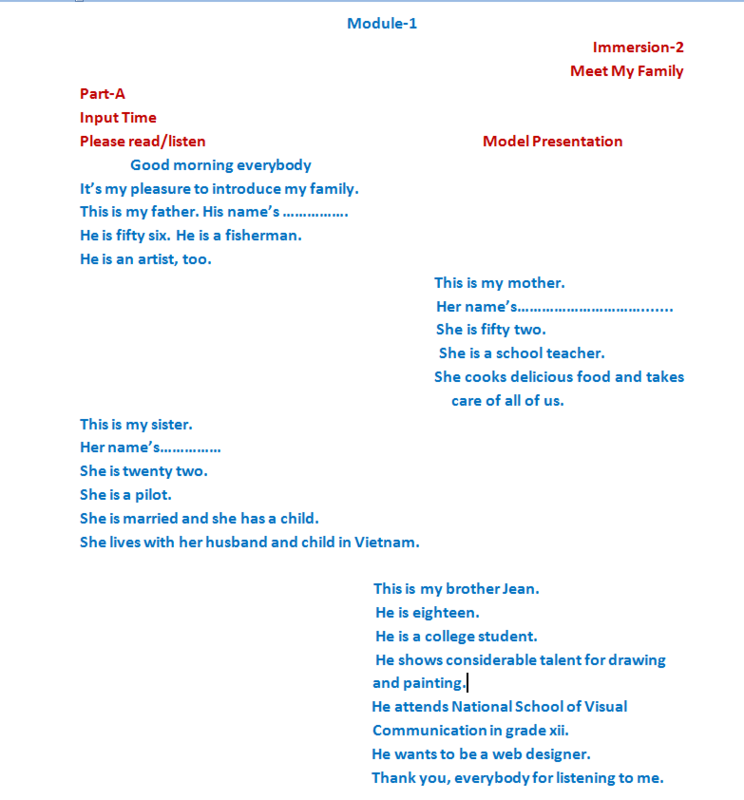 Mr.Ravi: I have a father, a mother, two sisters and a brother. I’m the eldest. My brother and sisters are college students. My father is a driver and my mother, a teacher. Dr. Kalam: Tell us about your education. Mr. Ravi: Well, I started school at Government Primary school, Kanyakumari. I went to S.L.B.Higher Secondary School and passed my Higher Secondary Course in 2008. I attended Rohini College of Engineering and graduated in mechanical engineering in 2012. I got my driving license for light vehicles while I was in the final year at college and for heavy vehicles in 2014. Dr. Ramamurthy: Give us a brief of your work in Dubai? Mr. Ravi: Well, I worked in a logistics company for two years. It was a challenging but an interesting job. The salary was good and I really wanted to work there at least for some five years. But I had to leave Dubai because my two year visa expired in September 2018. Dr.Ramamurthy: Dubai is one of the most favored work destinations for our youth, isn’t it? Mr. Ravi: Yes, Doctor it is. Dr. Ramamurthy: Fine, any idea of going back to Dubai? Mr. Ravi: Um, arrangement for my marriage is in progress. So I must be here at least for another two years. Dr. Helen Ramamurthy: That’s fine. Wish you a good partner to share life with. We are satisfied with your qualifications and experience. If appointed, when will you be able to join duty, Mr. Ravi. Mr. Ravi: Can I join today, madam? Dr. Helen: Why not? You are welcome to join today. Dr. Kalam: We appreciate your positive attitude to work. You’ve already started working with us. So you are welcome to continue. If everything else is fine how long would you work here? Mr. Ravi: For a reasonable period of two years. Dr. Moorthy: That’s great. How much salary do you expect? Mr. Ravi: I’d be pleased to have Rs. 25,000 per month to start with. Dr. Ramamurthy: Well, you’ll have Rs. 25,000 for an eight hour duty and for overtime work you’ll be paid in proportion to time. Is that ok? Mr. Ravi: Thank you doctor. Panel: Congratulations Mr. Ravi. Hope you’ll enjoy your work. Mr. Ravi : Thank you, everybody. I shall work to your expectation and beyond. Dr. Ramamurthy: We appreciate your positive attitude to work. You can collect the key from the office and start your work. Be ready at 2 O’clock. Today we go to our farm. That’s your first duty. We start workingfrom the farm. Hope you’ll enjoy working with us. The essence of education is the celebration of every person, particularly children, everywhere, every moment. Every child is a potential winner. Celebrations at school such as sports day, annual day, patron’s day, children’s day, parent’s day, grand parents’ day and Independence Day are opportunities for children to unlock their potential, discover talents, learn skills and display them to fellow students and others. It is an occasion for getting together and sharing fun to cheer up one another, too. So we celebrate sports day in a grand manner in our St. Patrick’s academy every year. This year we celebrated our sports day in a grand manner on September 12, 2018. We had the pleasure of having our Kung fu master as our chief guest. The chief guest hoisted the national flag, delivered the inaugural address and started off the series of events which had already been planned for the day. We had events such as 100 meter and 200 meter sprints, variety of other races including relay race, shot put and jumps. All our aspirant athletes participated with great enthusiasm. Our school children entertained the spectators by staging dances and performing mass drills. In our St. Patrick’s Academy the school children have been divided into four houses, Azad, Gandhi, Tagore and Prasad. As part of preparation for our sports day our competitors have to undergo a selection process, first within each house and then at school level. Only those who get through the selection process will represent their respective houses in the sports day meet. While the house reps compete with one another to win, the other members sit comfortably in their tents and support their heroes by clapping and cheering up. Our chief guest, our principal and teachers and our parents are with us the whole day sharing the joy of the celebration. Their graceful presence is a blessing and a great motivation for all of us. After the events were over the chief guest, our kung fu master, delivered the day’s message emphasizing the importance of physical education and sport. As well as helping children to be more competitive, school sports day is also an occasion to enjoy a day in the sunshine sharing company with school community. Children relax while they learn skills and entertain themselves and others while they relax. It has been proved that participation in sport is important to the holistic development of children and young people. So parents should encourage children to participate in sport meets and celebrate participation and achievement equally. He said it was also an occasion to learning team spirit and mastering the art of community living. Having accomplished the day’s tasks our captains de hoisted the flag and handed it over to our principal. It was a memorable day and we cherish the memory of the day enjoying life in its fullness. I hope our sports day next year would be more entertaining and enriching than this year’s. • Last summer I was in Madagascar. My parents were with me, too. • A Malagasy narrated the history of Madagascar. It was interesting. • We were very happy. • Madagascar was an uninhabited island for centuries. • About 800 A.D. Arabs started sailing to Madagascar. • Sea faring people of Southeast Asia were the first voyagers who set foot on Madagascar. • Diego Dias who was blown off course on the way to India landed in Madagascar on August 10, 1500. He named the island St. Lawrence. • In the 1500 s Portuguese, French, Dutch, and English traders made several attempts to establish business in Madagascar. • All their attempts failed because natives of Madagascar were hostile to the Europeans. • A fifteen year old Erasmus discovered South Africa’s first diamond on the banks of the Orange River near Hopetown. • The Eureka Diamond was the first diamond discovered in South Africa. We use the past simple to show that an action occurred generally, repeatedly or continually during a period in the past. • My grandpa served in the army during the freedom struggle. • My brother and I went to school together when we were in the village. • In her younger days grandma always walked to the market. • We spent our early childhood in South Africa. • I lived in Denmark until I was twenty. • They spent a week with the Rogers in France last summer. The past simple is used to talk about wishes. > I don’t like my school. I wish I could go to a better school. > That’s a dark and dusty room. I wish I would clean it first. > I always have to get up early. I wish I could sleep a little longer. • London is very crowded. I wish I lived somewhere in a village. • Our neighbors often pick quarrels and make noise. I wish they lived in harmony. • School children always wish they had fun loving young teachers. • I wish our politicians and religious heads weren’t so corrupt. > A past tense doesn’t always have a past meaning. It can have a present or future meaning as well. • Maya behaves as if she hailed from a royal family. • If I had the money now I would start a school. • It’s time you went to office. • I’m busy at the moment – I’d rather you came tomorrow. Isabel: Happy good morning, sir! Guide: By the way, do you speak English fluently? Isabel: I’m sorry I don’t and that’s why I don’t get a job. Guide: Well, you don’t have to worry about it because English is easy to learn. Do you want to speak English fluently? Isabel: Of course, I want to achieve great fluency in a short period of time. How do people generally build up fluency? Guide: Very simple, by listening to English and speaking English people generally achieve fluency. Well, you have a sweet voice so people will listen to you. One more thing, your stories must be short and sweet, too. So make sure your stories are short and sweet. Isabel: Thank you for the compliment and advice. But, um where do we get short and sweet stories? Guide: They are within you, well within you. All you have to do is to discover them, write them, read them and narrate them to anyone you come across. Would you like to have some sample stories? Guide: Here you are. Read our stories to start with. One day I’ll listen to your stories. Good luck, Isabel. Isabel: Thank you so much. One fine morning a religious preacher preached a sermon on gods and ghosts. Sermon over, the preacher asked the congregation whether they believed in gods or ghosts. The question astonished everyone. What a nice surprise! An elderly lady stood up and asked the preacher if he believed in ghosts. To everyone’s shock, the preacher said ‘no’ and vanished. Mr. Perfect wanted to be perfect in everything he did. As usual he got ready and went to the dining hall for breakfast. His wife said breakfast was not ready yet. Hungry and angry he hurried out and called for his driver. As there was no response he lost his temper and booked a cab. The cab arrived in a couple of minutes and Mr. Perfect boarded the vehicle in haste. Fortunately there was no traffic so Mr. Perfect reached his office in good time. Unfortunately, the office door had not been opened yet. Furious as he was, he shouted at the security guard to open the office. Shaking with fear, the guard told Mr. Perfect as it was a public holiday no one had reported to work. Mr. Perfect realized that he himself had declared a holiday to the office but he had forgotten that. On an auspicious day a professional preacher preached a long sermon on the evils of wasting time. One by one the congregation left the place of worship. The preacher wondered why everybody left. Later it transpired that people understood time was precious and priceless for everyone. So they left there to use their time properly. You are welcome to interact with your guide. At the beginning of time the world was nothing but a great, swirling, black mass. The skies and the earth were not separated; the sun and the moon were still unformed; the seas and mountains had not taken shape. It looked like a great dark murky egg. Guide: Hello, Sophie! Are you ready to interact with me? Guide: What was the world like in the beginning? Guide: Were the skies and the earth separated? Guide: How about the sun and the moon? Guide: And the seas and mountains? Guide: What did the world look like? In this egg the giant Pan Gu was born. He grew up in the darkness and slept for many thousands of years. When he finally woke up he decided he would create order in the world. Guide: Who was born in that egg? 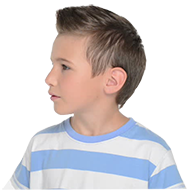 Guide: Where did he grow up? Guide: How long did he sleep? Guide: What did he decide to do when he woke up? He took an axe in his hands and split the egg apart. The lighter parts in the egg rose up and became the sky, the heavier parts sank down to form the earth. Guide: How did Pan Gu split the egg apart? Guide: What happened when the egg was split apart? Pan Gu did not want the sky and earth to crash together again so he stretched as much as he could. He pushed the sky up with his hands and stamped the earth down with his feet. He stayed like this for many centuries until he was sure the sky and earth were solid enough not to fall together again. Guide: Why did Pan Gu push the sky up and stamp the earth down? Guide: How long did he stay like that? Pan Gu was now very weary and tired. He decided to rest and soon fell asleep. He was so old and tired that he fell into a deeper and deeper sleep. Slowly he drifted away into death. Guide: What made him fall asleep? Guide: How did he die? When he died something very peculiar happened. His breath turned into the wind and clouds. His voice became thunder. His left eye became the moon and his right eye became the sun. The mountains and rivers in the world grew out of his body and limbs. The hairs on his body turned into trees, flowers and plants. Even the ticks that lived on his body turned into the animals and fishes of the earth. So we have the giant Pan Gu to thank for the world and everything in it. Guide: Could you enlighten us on what happened when he died? Guide: Great! We simply enjoy every syllable of your narration. Guide: Do we have to thank Pan Gu? What for? Guide: Congratulations, Sophie. Your narration was simple, clear, vivid and interesting. Activity-1: Describe a truly memorable experience. It was on October 6, 2018, a pleasant Sunday evening when my friends called me for playing and I accepted the call and went to play with them. As soon as I started riding on my bicycle a gigantic cricket, looking like a mini dinosaur, settled on my right arm. Struck with fear, I fell off my bike. I tried to get up but I couldn’t. To my shock I sensed something had gone wrong. Yes I saw a fracture in my right hand. My hand was bent and was hanging as if there was no bone inside. And the pain was horrible and unbearable. So I started crying for my parents. Mr. Vijay, our neighbor, came down to rescue me. In the mean time I had crawled to the basement of my apartment. He comforted me saying nothing had gone wrong, it was just a small injury that could be fixed easily. I felt really comforted by the very touch of Vijay uncle. Then my parents came and took me to Dr. Kamatchi Memorial Hospital. The doctor came immediately and I was taken to the operation theater. As I had taken milk before the incident had happened they couldn’t give me anesthesia. So I had to tolerate the pain until 10.30 pm. After anesthesia I couldn’t see what they were doing. When I came to consciousness all I could see was a pouch arm sling on my right hand, fortunately painless. I had to be in the hospital for a day. It’s quite boring as I had nothing to do there. I returned home the next day. The worst thing was I had to be on medical leave for six weeks. In the mean time S A-1 exams began. I didn’t know how to prepare for the exam. But my best buddy, my grandma, came to save me from appearing for the exam unprepared. She guided me through my preparation and you won’t believe I scored high in all my subjects, much higher than I used to score in my previous exams. No wonder I cherish the memory of the day with the scary cricket. Last Friday while I was cooking dinner for my family I could listen to a radio program aired by All India Radio. It was hosted by School Children. Children provided us with a wealth of information, updated us on the latest developments in the country, shared breaking news and entertained us with popular rock songs. Well, I liked the program and enjoyed it very much because I could work in a relaxed mood listening to songs and news updates. We celebrated my grandma’s birthday on January 15. It was important because she turned seventy five on that day, moreover, it was an occasion for all our family members to get together and chat for a long time after a long break. My grandma and grandpa are very healthy and look amazingly young. They have eight grand children and four great grand children, too. Furthermore we wanted to celebrate the day in a grand manner. So we had invited all our neighbors and friends. As expected all the invitees attended the birthday celebration together. Apart from family, friends and neighbors my grandma's former students, colleagues and their children were with us the whole day. The party was celebrated at our farm house, in fact, not far from our house. My parents and I went there around 8 a.m. I didn't know my grandparents were already there. So I was greatly surprised to see my grandma receiving the guests with a glass of farm fresh orange juice. Almost all the invitees came to greet my grandma with gifts of love. At the stroke of ten my grandma came out with a birthday cake much to the surprise of all of us. It was a huge banana cake laced with homemade wine and topped with juicy mango slices. There were seventy five candles of different colors artfully arranged around the cake. Around 10.30 a.m. grandpa lit the candles and handed over an easily disposable birthday knife to my grandma. Excitedly grandma blew out the candles and cut the cake amid clapping and cheering. With a glow of joy grandpa received the first piece and shared it with grandma. Then the cake was sliced and distributed to the guests. All of us stood around and sang birthday songs. Finally grandma thanked everyone and treated us to lunch at her garden restaurant.Wow! It was a delicious full course lunch. Everyone enjoyed every bit of the wholesome lunch and had a lot of fun singing, dancing, playing games and taking photos with grandma. The lunch, of course, was fragrant, spicy, juicy and sumptuous. Well, we cherish the memory of the great day every moment and we will for ever. Activity-4: Please read the sentences, answer the questions and prepare a dialogue and then practice reading it with a friend or your online facilitator. • Ms. Charley was a great math teacher but a strict disciplinarian. She always taught mathematics with a look of grim determination to achieve results. Everybody enjoyed her classes but many didn’t like her strict rules. • Her Students worked hard for long hours and no wonder they always scored high in exams. • Ms. Charley bought a book entitled “Be a good finder” and presented it to her students as a New Year gift. All of them read it and understood they had long been fault finders. • Last Friday Ms. Charley’s cab was caught in a traffic jam and so she had to wait on the road for over two hours. She was consequently unable to arrive at school in time and felt very sad. • But the principal, being a good finder, said it was not her fault. Ms. Charley thanked the principal with a smile and left for the class. • Her students received her cheerfully because they were unusually happy that day. Surprised as she was she asked them why they were so excited. They said they had a happy break from formulas and theorems. 1. What kind of teacher was Ms. Charley? 2. Why did she always look grim? 3. Did all her students like her? Why? Why not? 4. Did her students score high in exams? If yes, how? 5. What was Ms. Charley’s New Year gift to her students? 6. Why did Ms. Charley arrive unusually late at school? 7. How did the principal receive her? 8. How did her students receive her? Why? 1. Regular past simple forms are formed by adding -ed to the infinitive of the verb. 2. If a verb ends in ‘ e’ we add ‘d’ to form the past simple. 3. If a verb ends in a vowel and a consonant, the consonant is usually doubled before –‘ed’. 4. If a verb ends in consonant and -y, we take off the y and add –‘ied’ to form the simple past. 5. But if the word ends in a vowel and ‘y’, we add –‘ed’ to form the past simple. Some verbs are irregular. There are no rules to follow so we have to learn the words. My name is Mary. I live at 44/A4, Golden Street , Nagercoil. I have lots of loving neighbours. They are friendly and helpful. I have four next-door neighbours – Nabila lives to my North, Kumasi to the South, Lakshmi to the west and Jegatha to the East. Every morning I leave for work at 8 o’ clock, and I always work till 4 p.m. Back home my children, husband and I usually talk about kids’ classes, teachers, dinner and the weather. At weekends we generally go for picnics, often to the nearest mountains, beaches, lakes or rivers. Kumasi lives opposite me at A 6-304. Whenever we go out he takes care of our cows and dog. When Kumasi and his family go away, I feed their goldfish and look after their cats and dogs. Lakshmi lives at 44/ A2 . She has two small children and sometimes I babysit them for her when she works late. Nabila lives at number 44/ A1. She is quite nosey and likes to know everything about neighbours. She is a gossip columnist. Jegatha lives with her husband two blocks away. They are quite old and don’t go out much. They love it when people drop in to see them and chat with them over a glass of juice. They often talk about the old days when they were school kids. They narrate stories about what our villages were like some fifty years ago, the incredibly varied landscape, rivers that filled lakes every monsoon, majestic mountains and the huts set in idyllic surroundings. Those sacraments of nature are lost but a friendly neighbourhood persists. Activity-2: Please read the description of my home library and then answer the questions. My dear friends! You are welcome .We have an amazing home library. In our family my grandparents, my parents, brothers, sisters,… everybody loves reading and so my parents have collected different kinds of books. We certainly feel great when in the company of our favorite authors. 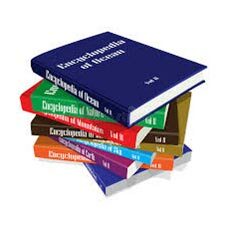 We have children's encyclopedias, dictionaries, globes, novels, short stories, great works of Shakespeare and Milton, Thirukural and a good collection of modern poetry and bed time stories. We have arranged our books in open shelves so it is easy to take our choice books and read them. As we have learned to use our time reading books we don't waste our time watching substandard movies and serials on TV. Thank you. 1. Children pick up books and start reading. 2. They cultivate the habit of reading. 3. Home libraries offer more chances of reading books of different kinds. 4. Family members can sit together and share knowledge. 5. Reading enhances the self confidence level of children. 6. Reading helps children score high in exams. 7. Children learn the habit of treasuring books and keeping them well organized. 8. A home library is a great source of healthy home entertainment, too. 1. Do you have a home library? 2. How often do you visit your home library? 3. What kind of books do you read most? Activity-3: Please practice the dialogue with a friend and prepare a dialogue using the questions given below and your answers. A: Why is a kitchen an important room in a house? B: Are you funny? Kitchen is not an important room. It is the most important room in a house because the most important thing, our food, is prepared here. A: You are right. Do you like cooking? B: Well, I like cooking and on special occasions like birth days, festivals and picnics. I cook along with my mom and dad. A: Great! What are the utensils you have in your kitchen? B: We have almost all the essential tools to cook the kind of food we generally eat. They are, cookers of different sizes, an oven with four burners, a grinder, a mixer, cups, glasses, a cutting board, a coffee maker, a 24 piece cutlery set, fruit bowls, frying pans, a fridge, a dish washer, an egg beater and some cooking vessels and plates. Sorry we have garbage bags and two garbage cans, too. A: Wow! How do you dispose of garbage? B: We don’t throw anything out. We segregate the garbage generated at home. We have two compost bins in our garden where we put all the biodegradable waste to make compost for our garden. And the non biodegradable waste is kept in bags and handed over to the garbage pickers. A: What do the garbage pickers do with the non biodegradable waste? B: They send it to the local recycling plant. A: You are doing a great national service. Thank you. Good bye. B: Nice talking to you, bye. Prepare a dialogue using the questions and your answers and then practice it with a friend. Where do you generally have your breakfast? Who prepares food at home? What do you generally talk about while having your breakfast? How do you dispose of garbage generated at home? What are the different methods of waste disposal followed in your home town?